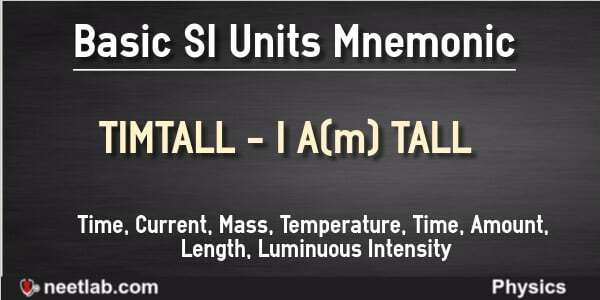 The I in TIMTALL refers to Current. The second T in TIMTALL refers to both Temperature and Time. I Am Tall suffix is introduced for rhyming which helps in memorization.